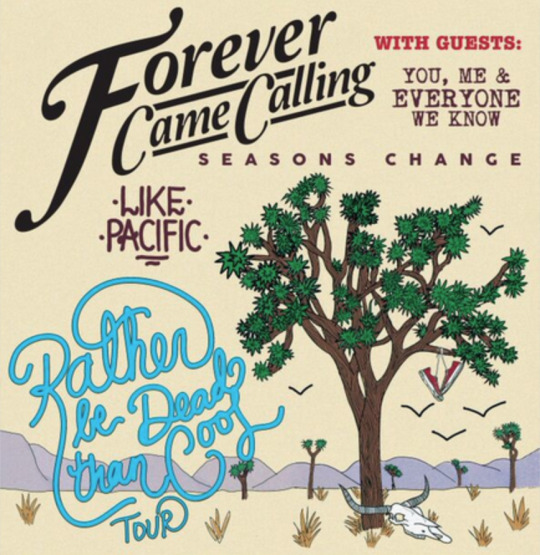 So-Cal pop punkers, Forever Came Calling, has announced their new summer tour, Rather Be Dead Than Cool tour. Featuring support from You Me And Everyone We Know, Seasons Change and Like Specific, the tour will kick off on July 17th in Henderson, NV and wrap on August 7th in San Diego, CA. Below you can find the full list of dates for the Rather Be Dead Than Cool tour! 7.19 – Berkeley, CA @ 924 Gilman St.